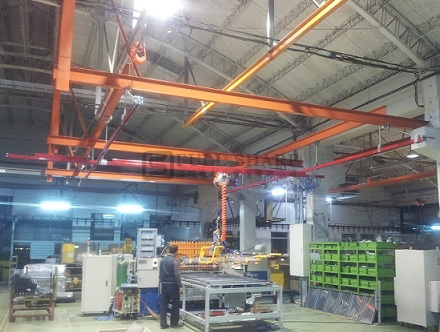 1.This equipment adopts pneumatic control crane and can beoperated very frequently without worrying about such problems as motor overheat and oil leakage easily happening on traditional cranes. 2.This crane has a span of about 60CM from the top to the bottom. 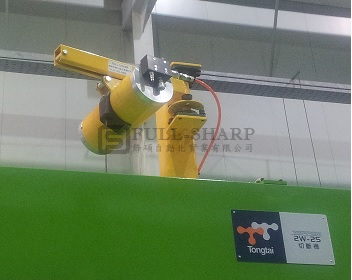 The operator can directly hold and align the object without pressing any chain, so as to reduce collision and damage to the workpiece. 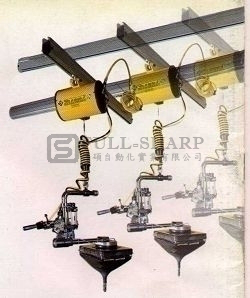 3.When the air supply stops, the safety valve will automatically function to prevent the workpiece from falling suddenly. ※ 1. 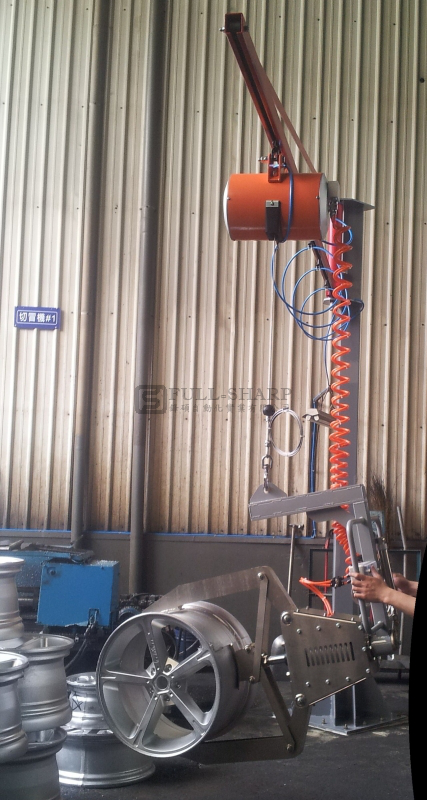 The load capacity of the main machine is from 60KG to 120KG. 2. The air source of this crane is designed at 7kg/cm2. When the pressure of the air supply is insufficient, the lifting capacity will proportionally decrease.